The Greenwood School | A Sugar Shack Is Coming! A Sugar Shack Is Coming! 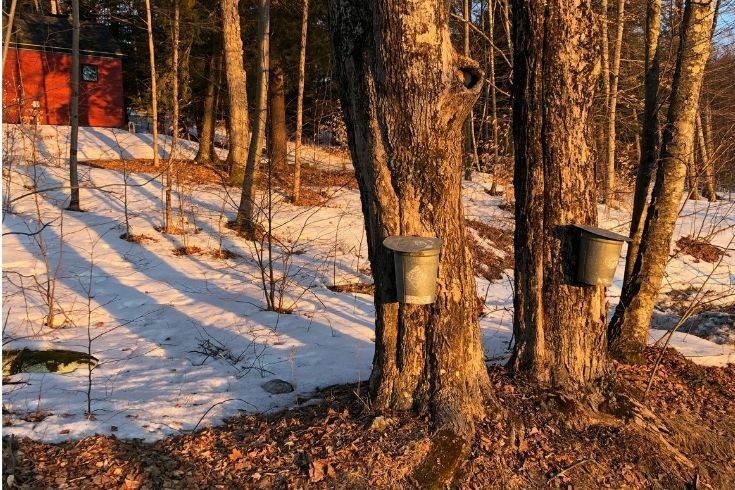 For decades Greenwood School students and faculty have been tapping trees to make maple syrup the old fashion way, collecting sap one bucket at a time. Every year we boil down our seasonal stores into liquid gold, producing one gallon of maple syrup from every 40 gallons of tree sap. That’s a lot of work to sweeten breakfast pancakes for the entire community. Thanks to the generous donation from the Zeiler Family Foundation, a former Greenwood family, we’ll be expanding on our annual tradition. The Zeiler’s have offered to fund all the materials needed to construct a new on-campus sugar shack, to be called Alex’s Sugar Shack, capable of producing more syrup than ever before. In keeping with Greenwood culture, our student community will design and build the sugar house under the leadership of our treasured teacher, Mike Kohout, and facilities manager, Joe Urquhart. Several staff and faculty members experienced in sugaring, will also be on hand to share their wisdom as we build the shack from the ground up. The Greenwood campus is blessed with a significant “sugarbush," a wealth of maple trees conveniently grouped together on a nearby hill. 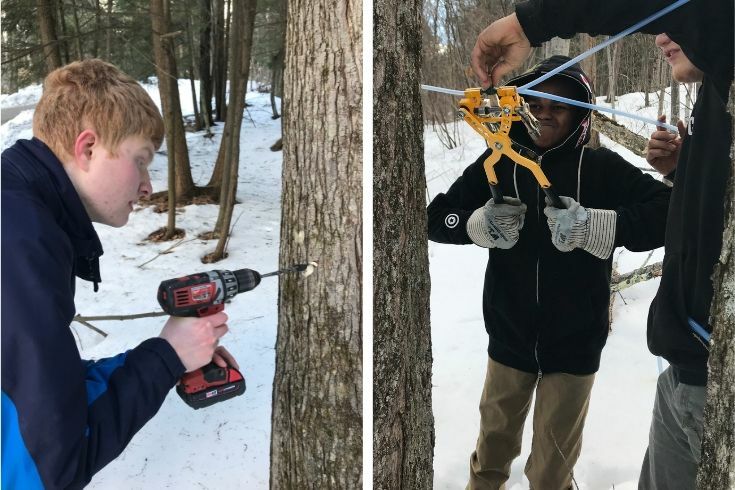 In preparation for next year, students learned how to harvest larger quantities of sap, tapping the trees with interconnected gravity-fed tubing that lead into one tank, versus collecting sap one bucket at a time. Next year the sugar shack will be strategically built right next to the collection tank, close to the Greenwood vegetable garden. Mike and interested students will site the footings this spring, and build the structure when they return in the fall. It will be a simple dwelling built of rough cut pine boards sourced from local mills. Our future sugar shack will also have benches and on either side of the “arch,” or boiler, and plenty of room for socializing around the toasty fire. Pancakes drizzled in syrup is not necessarily the biggest reward for “sugaring.” Every year this seasonal work closes in an all-day event where the community enjoys splitting wood, feeding the inviting outdoor fire, taste testing the brew, and good conversation. Everyone, young and old takes part, breathing in the rich aromatic steam coming off the steel boiling pan. It’s an experience. It’s Vermont life at its best. We are profoundly thankful for the Zeiler’s donation, and all those involved in making this wish for a sugar shack to come true. For many years students have been tapping maple trees on campus, one bucket at a time. Students learn how to run interconnected gravity-fed sap collecting tubes from our wealth of Greenwood maple trees.